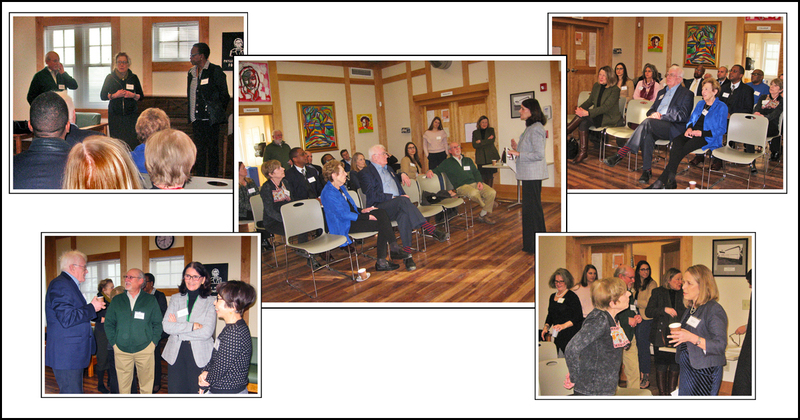 On Tuesday January 28, Fellowship Place hosted a coffee with area legislators on our New Haven campus, for a conversation with consumers, including family members and program participants, and members of the Fellowship Place Board. The morning discussion, which focused on why non-clinical services are so important to the mental health service system, was followed by a campus tour. Thank you to Senator George Logan, Representative Pat Dillon, Representative Kathy Kennedy, Representative Robin Comey, Senator James Maroney, and Dr. Dakibu Muley and Carlos Sosa-Lombardo of the City of New Haven Community Services Administration. We greatly appreciate them taking time out of their busy schedules to listen to first-hand accounts from our consumers, their families, and our staff about the challenges that exist today for those receiving and providing mental health services in our community. We are grateful for your support.